Discussion in 'Manufacturer's Announcements and Discussions' started by ServoCity, Nov 8, 2018. What's interesting is the absence of a phillips head screw and the use of an allen head! Also 25 tooth spline like Futaba... Is Hitec going this direction instead of the 24T? You may want to ask @Xpress. But if I remember correctly, Hitec did in fact adopt the 25 tooth spline technology. And the allen head has also recently been added. 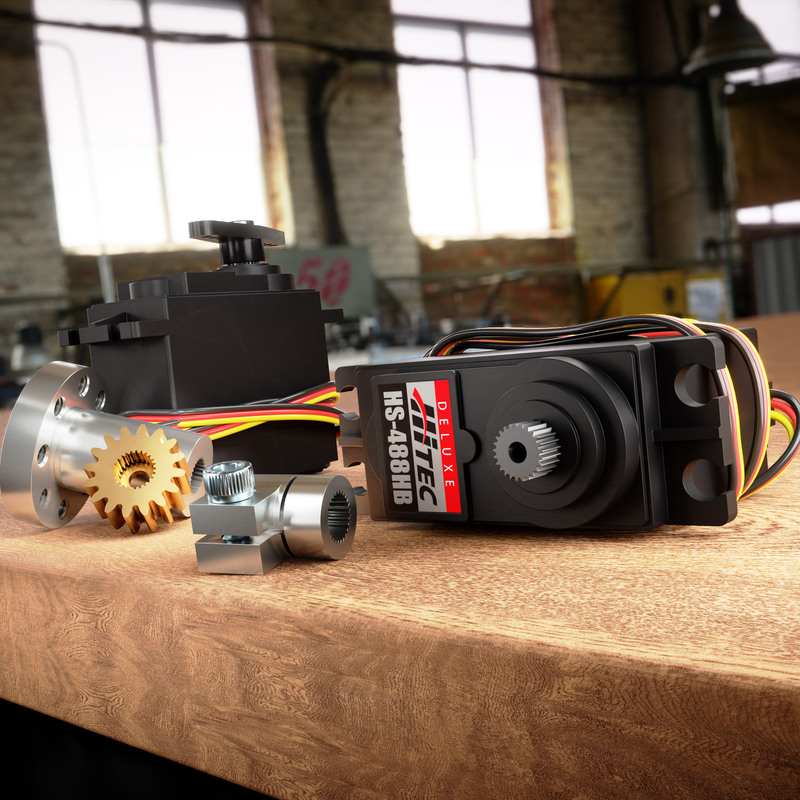 Just increasing the ever popular Hitec servos to a more appreciated and desired servo. This is a special servo that will be exclusive to ServoCity. The only difference between the HS-485HB and the HS-488HB is the HS-488HB has a 25T spline and comes with an allen head screw. Jetpainter and stangflyer like this. So what you are saying is, it is the only one with 25t spline and Allen screw? I'm saying the HS-488HB is specific to ServoCity and can only be purchased through them. The HS-485HB is available in many markets. pawnshopmike and stangflyer like this.